Ray-Ban's legendary Aviator sunglasses will soon be available in an exceptionally luxurious edition, with frames made from solid 18-karat gold. 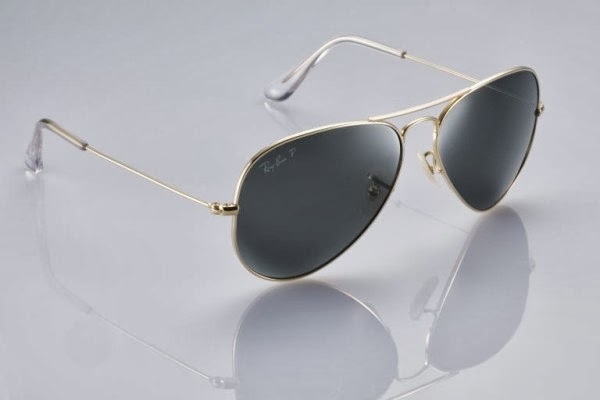 Launched in 1937, Ray-Ban's Aviator frames were initially designed for US Air Force pilots, who wore them for maximum protection from the sun's rays on high altitude flights. Today, the brand's Aviator model is an iconic accessory worn by men and women alike. Ray-Ban has presented a number of variations on the original design over the years, using different materials and colors. This November the brand will launch Aviators with a solid 18-karat gold frame. The polarized G-15 crystal lenses are also of exceptionally high quality. Only 1,200 pairs of these exclusive and luxurious sunglasses will be produced. The model will be available from November for about £2370.